Flipkart started selling smartphones on the second day of its Big Billion Days Sale yesterday midnight. The online retailer said that it sold 1.3 million or 13 lakh smartphones within the first 20 hours of the category opening for sale, which is a record for India’s smartphone market this year. 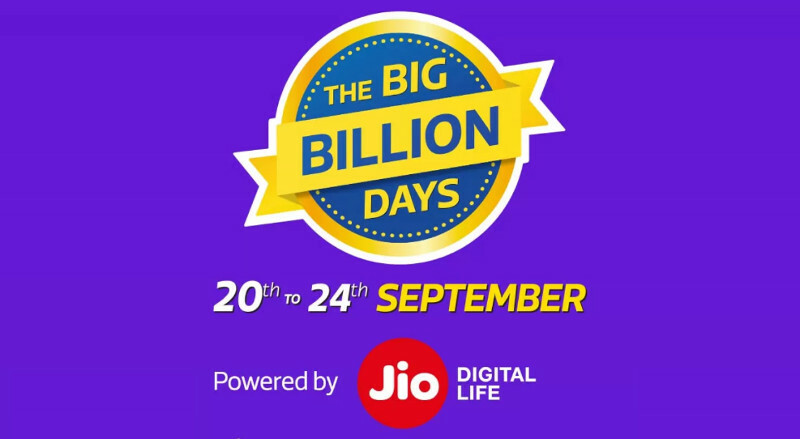 It said that this is 2 times the number of smartphones it sold in the same time-frame during Day 1 of The Big Billion Days 2016, and surpasses the total number of smartphones sold across India in a single day, both through online and offline channels. The company also said that it managed to sell 3 times the number of smartphones sold by the nearest competitor. It said that 1 of 4 who bought premium smartphones in Day 1 did so with Flipkart’s Buyback Guarantee and over 80% of the entire sales in the premium segment happened with various affordability constructs such as No Cost EMI, Exchange and Buyback Guarantee. These numbers reinforce our position as the absolute leader in smartphones. What Flipkart offers — the latest phones, the large number of exclusives, affordability measures like No Cost EMI, Buyback Guarantee etc. — are unmatched in the industry. So, when it comes to buying a smartphone in India, there is no other destination and our customers trust us to buy the latest smartphones at the best prices.